Antigonish Heritage Museum is a community museum that strives to preserve and promote a cultural understanding of the heritage of Antigonish Town and County. The Antigonish Heritage Museum features two main display rooms with exhibits that depict the history and material culture of our area. The Resource Room contains many valuable reference materials available to researchers and genealogists. The collection includes photographs, published materials, community, church, school, family histories as well as census records, vital statistics, school registers and much more. 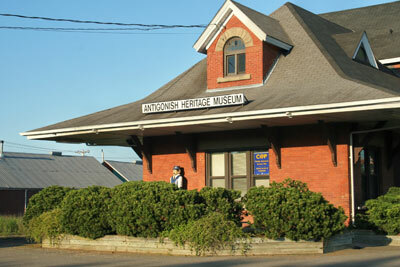 The Museum is housed in the former CN Rail Station building, located at 20 East Main Street in the Town of Antigonish. For more information, please visit Antigonish Heritage Museum.